As the sky starts to turn pink and blue just before sunrise, the water-filled rice terraces reflect the colour. 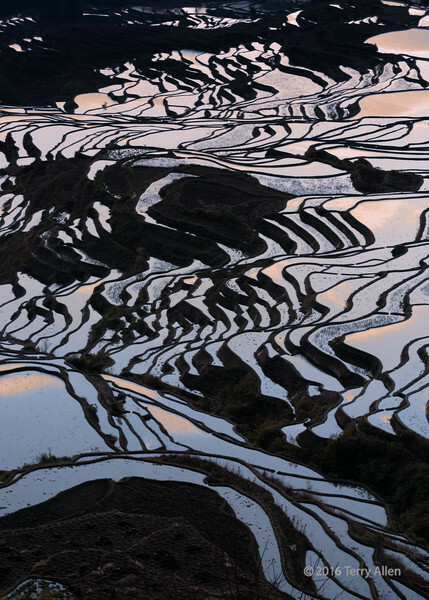 The Duoyishu rice terraces, Yuanyang County, Yunnan, China, are particularly famous for sunrise shots. It's almost like a crazy mirror! This is wonderful, love it. Great abstract. It sure appears as an abstract of some sort - how interesting!